Where there’s money, there are con artists. A collection of astounding art fraud cases. But can these small orgs really secure the art? Expensive! The Fundação Sindika Dokolo is returning these masks which were looted during the civil war. The pieces were seized in Damietta port on their way to Thailand which is quite interesting. Successive major incidents, both involving an not involving tourists to Egypt’s heritage sites, have pretty much ruined any tourism hope. The artwork by French artist JR was on roofing material in a Kenyan slum. This non profit claims they are taking it from the poor to give to the poor. Difficult. A talk from lawyer Donald Burris organized by the Chiefs of Ontario. The site of Noqhla has been seriously impacted by looting. The three foot tall fiberglass shell depicting Mobile Bay was recovered. The museum says that “truly irreplaceable items” were not taken. The hand-sewn original state flag of South Dakota was allegedly stolen by an ex employee of the secretary of state’s office. The ex Fremont County Pioneer Museum has been sentenced for stealing items from the museum after she was fired in 2012. 3D printed “repatriated” Hoonah Indian Association items: but are these really “repatriated”? Blue Checker, painted by the director, was taken off an office building wall. Don’t forget that the Sotheby’s chairman pled guilty to price fixing. Maybe “property of the collection of a convicted white collar criminal” is considered a less than favourable provenance. If someone truly thought he didn’t have looted material, I’d question their expertise on the matter. Even Green seems to think he does. More on this restitution case and subsequent sale. The 20-year-old pleaded guilty to drunkenly damaging Serpent Mound and will now have to write a research paper about it. I volunteer to mark it! The German government has filed papers saying that the Guelph treasure sale wasn’t forced because the Holocaust didn’t start until after 1935. Yow. Export restriction on cultural objects worth over €300,000 or older than 70 years. Portrait of a Woman was stolen from the Galleria d’Arte Moderna Piacenza in 1997. Allegations of looting at Sobibór extermination camp. Was Shakespeare’s skull stolen? IS this Shakespeare’s skull? Dost thou think Alexander looked o’ this fashion i’ the earth? The Royal Ulster Academy has not bowed to demands by unionist parties the painting be removed. Interestingly the Orange Order says it has NOT called for the painting to be removed saying “the Orange Order does not actively support censorship”. Odd. “Plundered, looted and seized”; some of these are controversial objects from the British Museum collection. The remains have been kept in a cardboard box at Australian National University since 1974 which has been distressing for Aboriginal groups. The painting dates back to at least 1974. A group exhibition at the Sundaram Tagore Gallery in New York includes Leang Seckon, “Indochina War” (2015) which uses imagery of looted Cambodian statues. It doesn’t say a suit has been filed. Perhaps it has. Let’s wait for some non-Mail reporting. 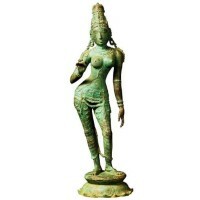 More on the return of the Uma Parameswari which was smuggle and sold by dealer Subhash Kapoor. The items were stolen from the HMS Prince of Wales and were seized from Vietnamese looters. 90 people were arrested and hundreds of artefacts seized! Wow. Exhibition exploring the idea of art pilfered from Lebanon’s Ministry of Culture’s central depot. Artist Brian McCarty’s “War Toys” seems to have been photoshopped by IS’ use. Artist Matthew Inman replaced the image links with a screen shot of his monthly image hosting bill which, of course, then displayed on Huffington Post. The guitar was stolen during a 1963 Christmas concert. Thankfully the cow has come home.